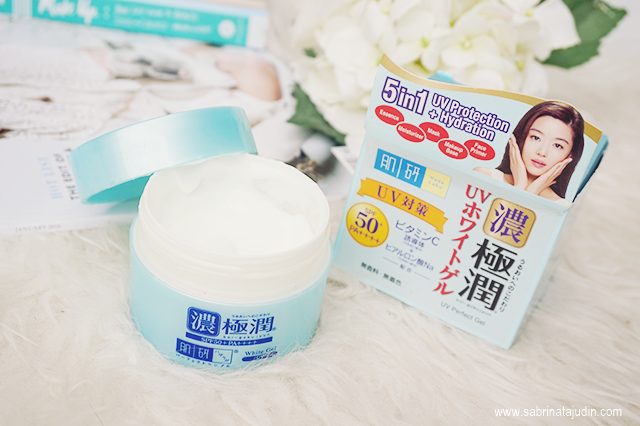 If you have look forward in trying this best and one of Japan most favorite skincare brand and you have normal to dry skin. With its motto, Perfect X Simple. Check out these recommendations. I receive them a while back ago and tried them for quite sometimes. 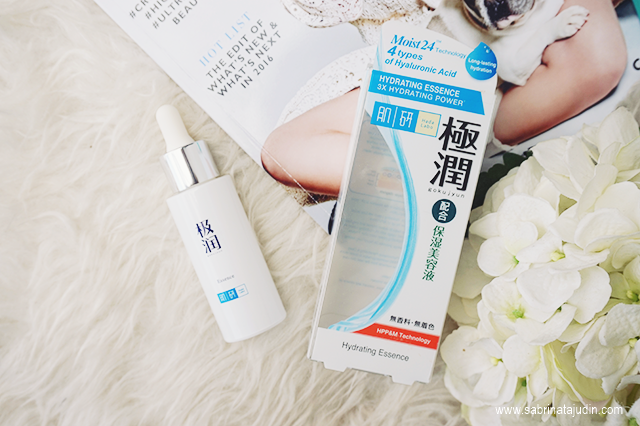 When I first getting into taking care of my skin, Hada Labo was one of the product I have tried and used. My favorite was its best selling face lotion. 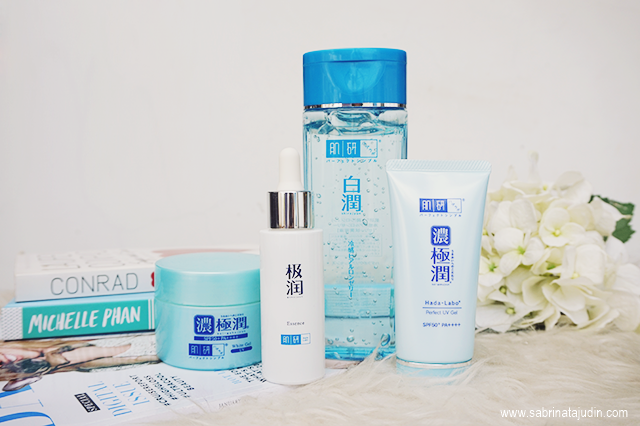 I could say they are one of a skincare brand that is worth trying. Below recommendation range from the early steps in a basic skincare regime till the last which is sunscreen. In this range the signature main ingredient are the 4 Types of Hyaluronic Acid. you can learn more about this at their website here. Did you know that in Japan, toners are called lotion. But usually their "toner" comes in many foams of texture. This face lotion is one of their latest innovation where it act like a lotion, mask, essence, astringent and emulsion. To it eye catching name "cooling", because I love anything that soothes my skin, this lotion features a cooling and refreshing sensation to your skin. The texture is very jelly like but melts into water after you massage it in. It leaves my skin feel matte. It has a bit of a menthol scent to it. Along with that this lotion also has a whitening agent that helps to brightens your skin as this lotion also enriched with Vitamin C and Witch Hazel which helps to tighten your pores. I think it also works to help soothes your blemishes as that is one of the benefit of Witch Hazel. If you a simple kinda person and want a very light skincare routine. You can go for this alone. Might be good enough to provide you with hydration all day long. This comes in a plastic bottle which allow you to squeeze out the product to dispense the gel. This is advise to be use after cleansing your face. Looking for that one moisturizer that has it all? Check this out. This Perfect Gel acts as a moisturizer, Essence, Mask, Makeup Base and also a primer that also provides your skin with SPF 50+ PA++++. This is a moisturizer you should look forward if you have intense dry skin as this helps to give you that intense lasting hydration. Contains Hyaluronic Acid & Nano Hyaluronic Acid and also Vtamin C that is fine enough to penetrate to your skin. This moisturizer also work best as a base before applying your makeup. This has a bouncy cream texture that is not thick at all. Does not leave any greasy feeling. It has a medical scent to my opinion. Comes in a plastic jar. During the night, you can apply a bit more and act this as a sleeping mask. Best use this after cleansing and applying lotion/toner and before makeup. Essence is an essential in a skincare regime. It is sometime said to be an option or an additional step in your skincare routine if you want an extra boost of care to your skin. 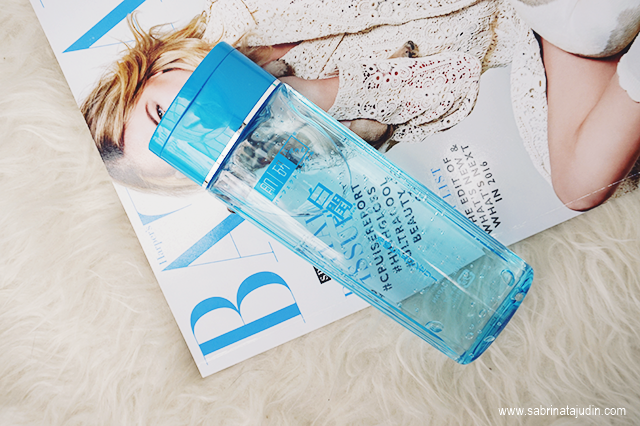 Formulated with Moist24 Technology that said to provide your skin with 24 hours of hydration. Has 4 types of Hyaluronic Acid that has 3 times better concentration fully to the inner part of the skin. This essence helps to retain, lock and restore moisture to your skin. 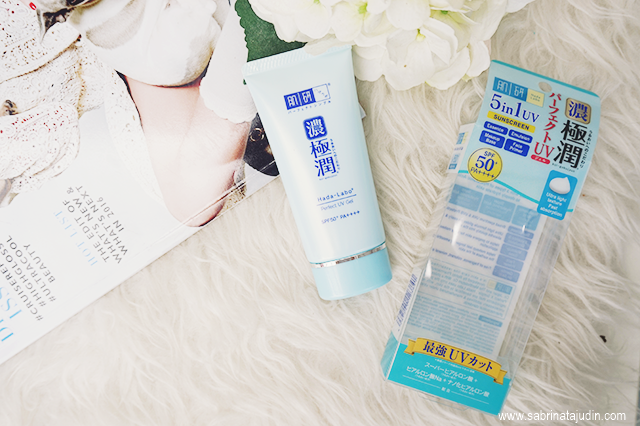 Recommended to be paired with the Hada Labo Hydration Lotion and by this way you will achieve 30% more moisture and last more than 7 hours more. Best to be use after lotion and before moisturizer in patting motion. This essence is suitable for any skin types. It comes in a glass pump bottle that looks really sleek! Enough said, as I said this so many times. Sunscreen! It is so important! This sunscreen was created by them with a mission which is not only it protects your skin from harmful UV rays but also contains anture goodness to make sure your feels comfortable all day long. This also can be use as an essence, emulsion, Makeup Base and a face primer. so this is great to be use before makeup and after moisturizer. This sunscreen has a very light texture that does not leave any white cast effect and greasy feeling and also that typical sunscreen scent. The sun protection it provides are SPF 50+ PA++++. Pair this with the other range and you good to go! one of the best skincare brand! 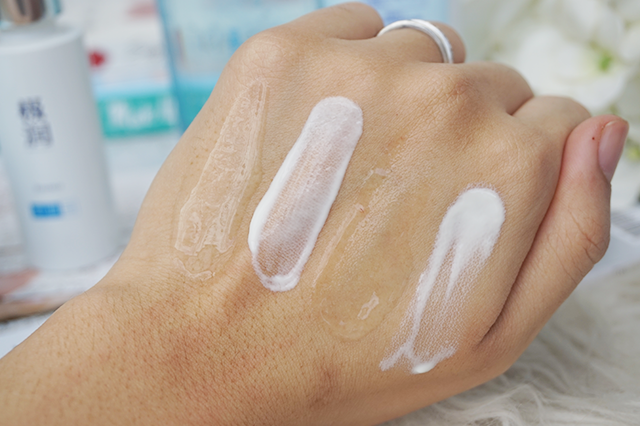 The Hada Labo perfect gel looks delishhh for my dry skin. But the price tag is cry me a river! aah, since awal lg. masa mula2 nk beli lotion dia tu pn hehe, teragak2, tp so far worth it!